In our recent article “From Russia with Gold”, we detailed that Russia has the 2nd largest unmined gold reserves in the world. 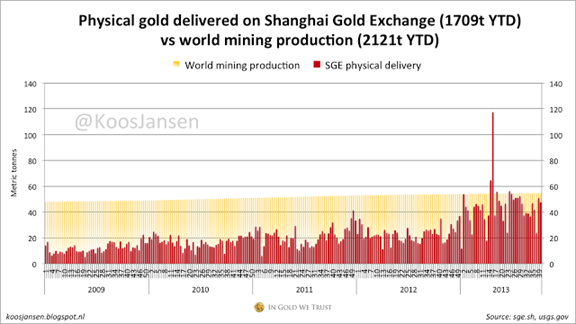 Its gold production since 2008 has risen dramatically and remains on the rise. And the Russian central bank has been steadily increasing its official gold reserves since the 1st quarter of 2007, in the lead-up to the Global Financial Crisis (GFC). 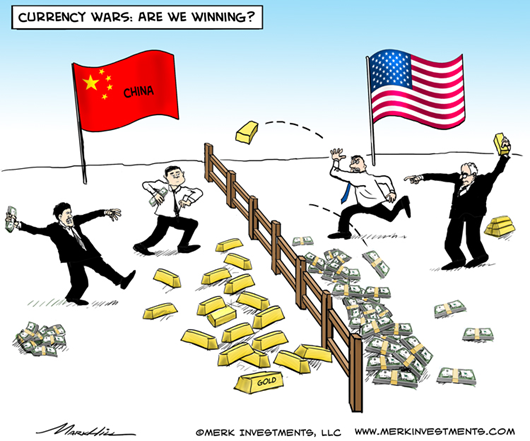 In addition, last week our esteemed managing editor and chief analyst penned an excellent essay entitled “Hiding in the Gold Demand Shadows”, which demonstrated the fact that central bankers worldwide (i.e. 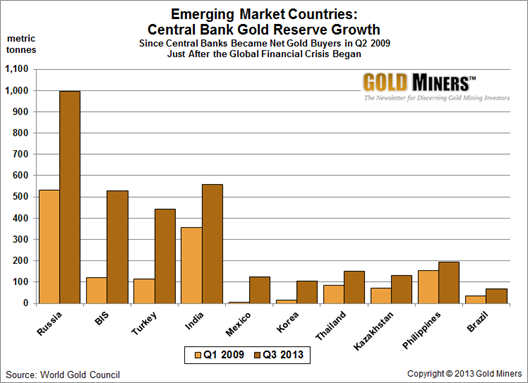 in emerging and developed countries) fully recognize the importance of gold. The 10-year plans are supplemented by 5-year plans, which we’ve spoken of many times in connection with China’s commitment to developing its gold market. 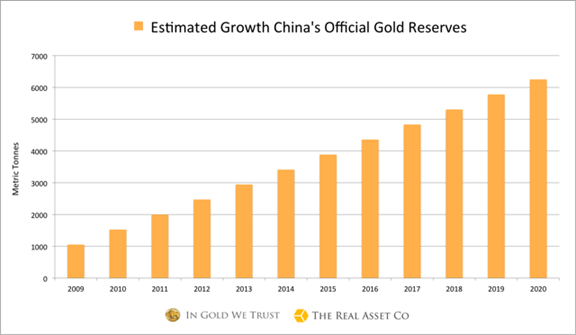 In our article, “China to Rebuild Great Wall with Gold!” we composed a brief history describing how China has included the advancement of its gold market as a key component of its planning and economic ascendance. We share his views. 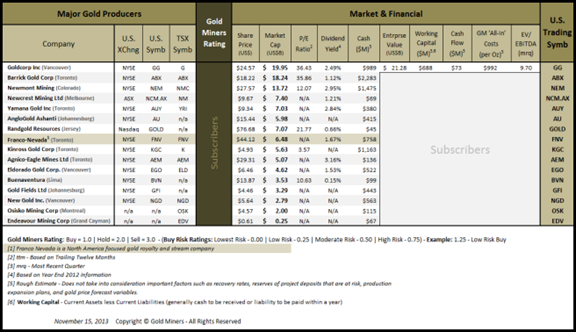 As such, we present our Gold Miners Comparative Analysis Table, which has a multitude of critical metrics to use in evaluating and comparing gold mining companies.